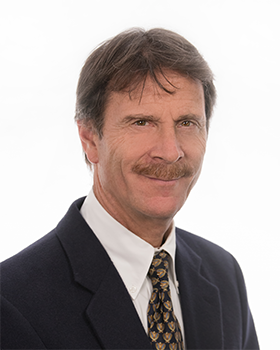 Dr. William Ventimiglia is a Pulmonary and Critical Care specialist who is board certified in Internal Medicine, Pulmonary Disease and Critical Care Medicine. He received his medical degree from St. Louis University School of Medicine and then completed an Internal Medicine residency and fellowship in Pulmonary and Critical Care Medicine at Henry Ford Hospital in Detroit. Special interests include the diagnosis and treatment of asthma, COPD, emphysema, interstitial lung disease, lung cancer, pulmonary embolic disease, and pleural diseases. Dr. Ventimiglia is the current Assistant Medical Director of ICU and the Director of the ICU Step-Down Unit at Ascension St. John Hospital, his primary hospital. In addition, he is Director of Pulmonary Services at Select Specialty Hospital, Grosse Pointe. He is on staff at Ascension St. John Hospital, William Beaumont Grosse Pointe, Henry Ford Macomb, Select Specialty Grosse Pointe. He has been named annually for the past five years as one of the area’s top pulmonary specialists in Hour Detroit magazine’s “Top Docs” ranking. Dr. Ventimiglia sees patients in the outpatient setting at our St. Clair Shores and Shelby Township offices.